Kumud Kuthiyala has worked hard to put her early life in Blue Town behind her. As director of an all-girl orphanage in metropolitan Ambayu, she has become a warrior for women’s education and equal rights. With the help of her love, Dr. Shekhar Roy, she is vigilant in protecting her charges from outdated customs that victimize girls and women. Despite her many successes, her past still haunts her. A shocking phone call from an anonymous caller turns Kumud’s world upside down. A young bride from Blue Town has decided to commit suttee. Kumud has no choice but to return to the town and somehow stop this heinous crime, disguised as a ritual. Driven by a desperate need to end the barbaric ritual that has scarred her for life, Kumud leaves Shekhar and the girls behind and travels to the town of her youth, a place where superstition and prejudice abound. There she is forced to confront the stubborn mindset that a widow is more valuable dead than alive, and the past she believed she’d left behind. Can she convince the town that their centuries-old tradition is cruel and savage? Can she change the minds of the people and the Five Elders before it’s too late? 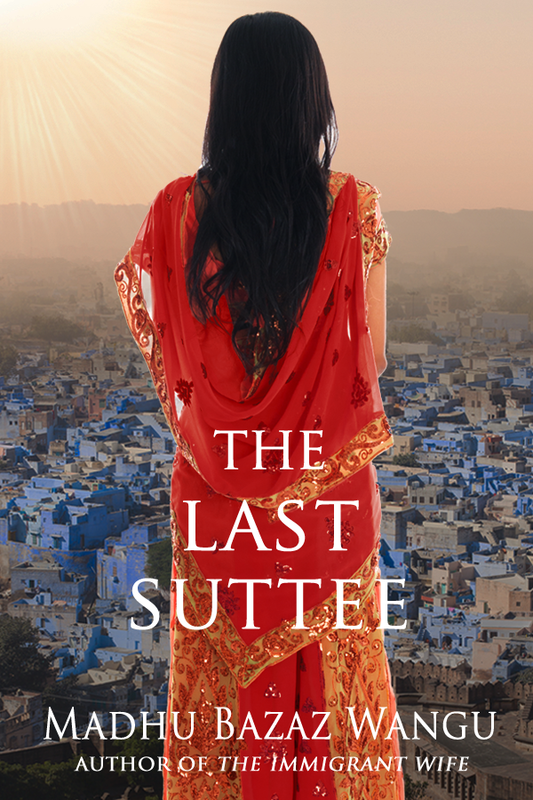 The Last Suttee is available in ebook format (print edition coming soon) on Amazon, and you can add it to your shelves on Goodreads. Madhu has published several nonfiction books on Hinduism and Buddhism, and she is the founder of the Mindful Writers Group. 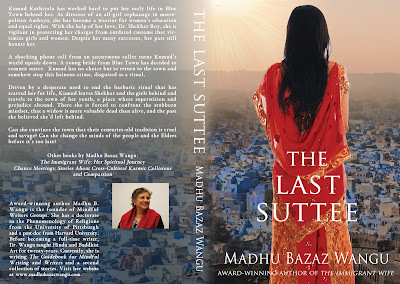 Visit Madhu's website for the scoop on all of her books and check out some of her gorgeous artwork.